A guaranteed prize pool of €10 million is up for grabs from February 3 to 18, with 166 online events for players in France, Spain and Portugal. Buy-ins range from €5 to €250, including a €250 buy-in Main Event on February 17, which guarantees €1 million. Other key series highlights include the €30 buy-in Masquerade tournament on February 18 which guarantees €100,000, two €250 buy-in Sunday Specials on February 3 and 10, each guaranteeing €250,000, and the €50 buy-in Warm-Up on February 17 with a €225,000 guarantee. Players in Italy will have their own ‘Carnival’ Series, with 110 events running from February 10 to 25. 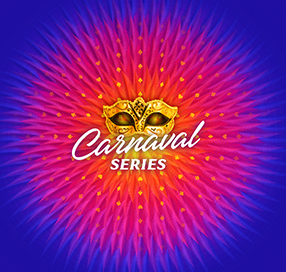 Italy’s Carnival Series has €5 million guaranteed in total, with €500,000 guaranteed to be awarded in the €250 buy-in Main Event on February 24. To find out more visit the PokerStars Carnaval .fr,.es, and .pt webpages.